Creamy mild cheese sauce & shell pasta. Milk, creamy and delicious. Serve up the best side of dinner your whole family will love. 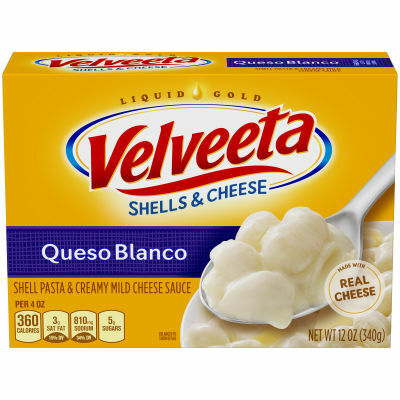 This Mexican inspired, mild white cheese sauce is Velveeta's newest offering that delivers the smooth, creamy texture you know and love. For those who want a little extra kick, stir in 1/4 cup pico de gallo, salsa or chopped green chilies to the prepared dinner.